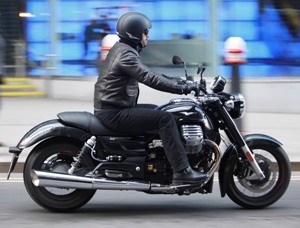 With positive reviews published by several motorcycle enthusiast magazines so far, the 2013 Moto Guzzi California 1400 continues to impress the media and is named Best Cruiser 2013. The first year of the much anticipated big Moto Guzzi cruiser has certainly been a success in terms of how well the new motorcycle design and performance has been received. Awards such as Robb Report “Best of the Best” and Cycle World “Top Cruiser” are certainly good indications that Moto Guzzi has done things right with the new California. In June 2013, the “global luxury” magazine Robb Report named the California 1400 Custom the “Best of the Best” 2013 cruiser motorcycle. I must admit that I don’t read Robb Report, but I was able to find the article online and was impressed by their pick nonetheless. Other winners of Robb Report Best of the Best motorcycles were the 2013 BMW R1200GS in the Adventure/Touring category, and the 2013 Ducati 1199 Panigale R in the Sport Bike category. I would think that anyone in a position to afford 3 new motorcycles would certainly be pleased with those 3 choices to match their riding moods. A more down-to-earth award in my mind was the fact that Cycle World magazine included the 2013 Moto Guzzi California 1400 best cruiser in their Top 10 Bikes for 2013 in the September issue. That is a big deal, especially because cruisers are the largest category of motorcycles in the USA. I have subscribed to Cycle World on and off for over 30 years. As a teenager, it helped fuel my dreams of owning a brand new motorcycle some day and riding it anywhere I wanted to go. It took me decades to buy that brand new motorcycle instead used bikes; however, good things come to those who wait. 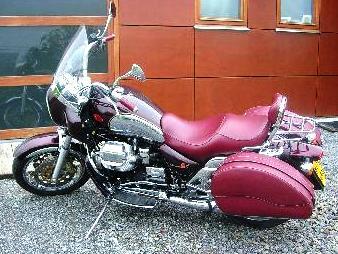 It was five years ago that I purchased my 2007 Moto Guzzi California Vintage new. While my Vintage did not make the Cycle World Top Ten list in 2007, it is still very satisfying to see the big, bold new California get picked as the top new cruiser. In this September issue of Cycle World, which arrived at my house a few days before I wrote this, they described the 2013 California as having a “mechanically satisfying nature“. I could not have picked better words to describe my Vintage, and Moto Guzzi motorcycles in general! 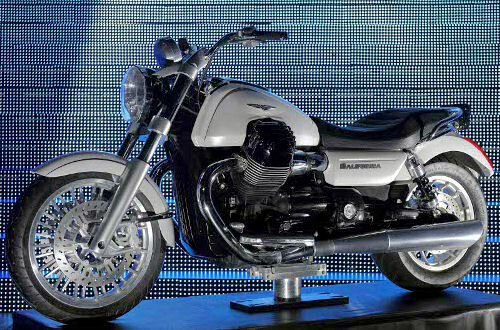 That is exactly what has always attracted me to Moto Guzzi. I have yet to sum it up so perfectly when people ask me, as they always do, why I chose to buy Moto Guzzi. From now on, I will quote that description. It is really great to see those perfectly chosen words still apply to this latest California as chosen by experts in the industry. By the way, the full list of the Cycle World 10 Best Bikes of 2013 includes: (1) Superbike is BMW HP4; (2) Open-Class Streetbike is Kawasaki ZX-14R; (3) Middleweight Streetbike is Ducati 848 Streetfighter; (4) Standard is Honda CB1100 – I like this one; (5) Cruiser is Moto Guzzi California 1400 Custom; (6) Touring is BMW K1600GTL; (7) Sport-Touring is BMW K1600GT; (8) Adventure Bike is BMW R1200GS; (9) Motocross is Kawasaki KX450F; (10) Dual-Sport/Enduro is KTM 500EXC. Congrats to BMW for taking 4 out of 10 categories at Cycle World. As a side note, Mark Hoyer, the editor-in-chief of Cycle World, selected Moto Guzzi Griso 8V SE as the “Best Retro to Get Espresso on”. Well, I suppose that is good too. I don’t see it as “retro”, but maybe it is just me. That was mentioned in his “The Ten Rest” editor’s letter that is subtitled “because there’s too much good stuff”. 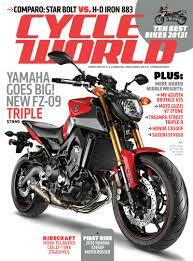 Rider is actually my favorite motorcycle magazines (I get nothing for saying that); however, this year they did not pick a 2013 Motorcycle of the Year. What Rider did is let their readers decide via an online poll. Personally, I hated that idea (I definitely won’t get anything for saying that). Anyway, Rider first place winner for 2013 is Honda F6B GoldWing (the shorty-windshield version); second place is Honda CB1100; third place is BMW R1200GS. With all the great write-ups, the awards, and the shear beauty of the 2013 California 1400, some of you may be wondering why I have not yet joined in to become a 1400 owner. The fact is that I am still in love with my California Vintage and can’t imagine trading or selling it. The other fact is that I my car is in dire need of several repairs and a second new motorcycle is far from reality at this point in my life. Well, I am so glad to hear that you love your Vintage so much that you are keeping it! And the reason for that is I can’t afford a 1400 Touring, so I found a very low (6200) milage 2007 Vintage online and just wired the money and arranged for Federal to ship it to Portland OR. It will get here on 7/28 or 7/30 and I have butterflies just thinking about it. This will be my 10th Moto Guzzi, starting with a 67 V700 I got in 1972 and kept for 6 years (I still kick myself for selling it).